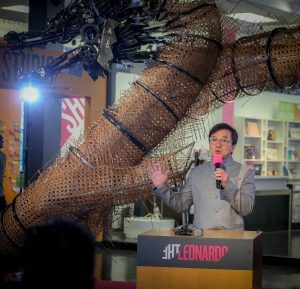 Jackie Chan unveiled his new environmental exhibit at The Leonardo: Museum of Creativity and Innovation featuring a series of original pieces created from recycled movie props and film sets. Viewers can enjoy 18 sculptures as well as video messages from Chan himself. Tickets are $9.95 with a student ID. Free to University of Utah students, faculty and staff, this is a must-see traveling exhibit. 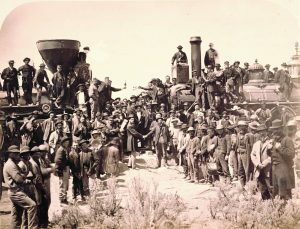 It has been 150 years since the eastern and western continental railroad networks were joined at Promontory Summit, Utah on May 10, 1989. The exhibit will feature historic photographs from the events as well as artifacts from the Union Pacific Railroad museum. This collection is the largest in the world. The centerpoint of the exhibit is the three spikes— Golden, Nevada and Arizona, which have never been before together in Utah. Take a break from love and step back into the quiet world of politics in this eventful show. Della finds herself in a sticky situation when she is asked to bake a cake for two women in her town in North Carolina, where she is torn between family and faith. The U’s School of Dance will perform the 1789 French ballet “La Fille Mal Gardee” from Feb. 7-16. 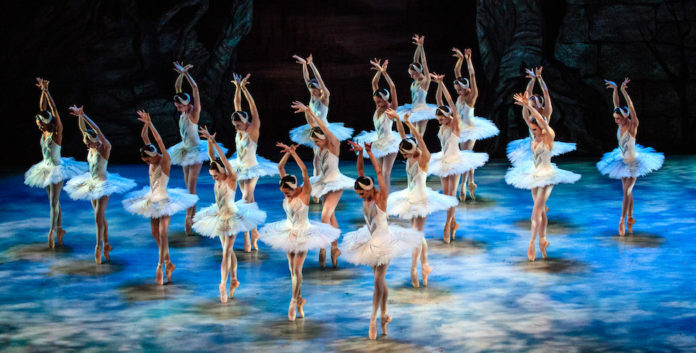 This new adaptation, developed for the U by American Ballet Theatre alumnus Bruce Marks, follows a young woman in the countryside trying to leave a dead-end marriage. Tickets are free with a U student ID. As beautiful as it is sad, “Swan Lake” tells the story of a prince and girl torn asunder by an evil wizard. This is the last time principal Christopher Rudd will perform the role of the prince before his retirement. Adding to the romance, principal artists Beckanne Sisk and Chase O’Connell just got engaged. Cleopatra has long been hailed as one of the most beautiful women of all time. Come see how she met the man she died for. Student tickets are only $15 through the Tanner Humanities Center. “Bollywood Boulevard” is a live-action celebration of Hindi cinema coming to Salt Lake City. The performance celebrates the history of Bollywood musicals, combining music, dance and multimedia presentations. Tickets are $5 with a U student ID. On Feb. 15 and 16, the U Lyric Opera will perform Mozart’s “Don Giovanni.” “Don Giovanni” is an Italian opera based on legends of Don Juan with a plot that mixes comedy, drama and fantasy. Tickets are free with a U student ID. The perfect show to soothe post-Sundance blues. This Tony award-winning musical was once a festival favorite itself. Be enchanted as an Irishman and Czech women fall for each other on the streets of Dublin. All of the instruments will be played live onstage by the actors. Student tickets are only $5. “Company” follows a single man, Bobby, and his group of married friends preparing to celebrate his 35th birthday. The musical is famous for its witty songs, serious treatment of relationships and nontraditional plot. Tickets are free with a student ID. Nature lovers unite for a series of harrowing tales and thrilling adventures. Tickets are $10 for U students, but you can also get discount multi-night packages. “Wait,” the latest play from the feminist theatre company Pygmalion Productions, is a unique coming-of-age story from Salt Lake Acting Company resident playwright Julie Jensen. Young Wendy Burger deals with living in a UPS truck, acting in a school play and learning from mysterious new friends and mentors. Tickets are $20, available online at pygmalionproductions.org. 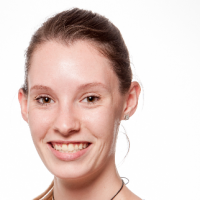 Did you know Mozart had a sister? Nannerl Mozart was a renowned composer and musician whose story has been forgotten. Spend a night with Utah Presents remembering her and all the beautiful fashions of her time. Tickets are $5 with a U student ID. This year, the graduating seniors in the Modern Dance program will be featured in a final performance showcasing their individual talents. Tickets are free with a U student ID.